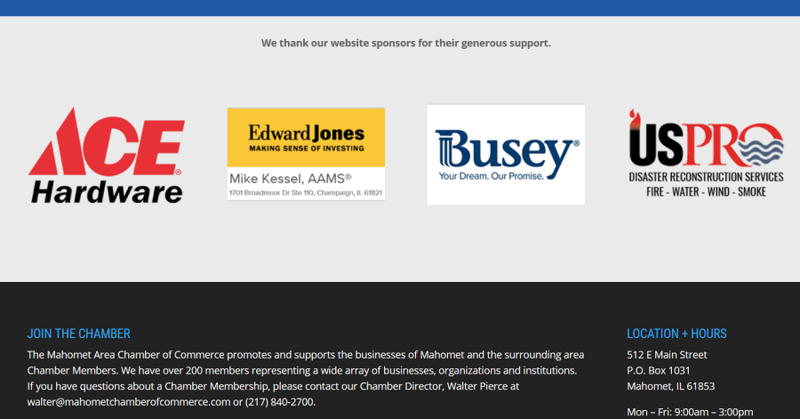 Mahomet Area Chamber of Commerce Membership includes the opportunity to market your business on our website and at events throughout the year. Please find all the available opportunities below! Get your business in front of the 450+ subscribers on the Chamber’s Monthly Newsletter. Whether you choose to include an articles, member news, or want to just place an ad or logo email, you’ll get the word out to lots of eyes! Advertising at the top of the Chamber Monthly Newsletter may be placed for $75/email. Ads include a logo/banner and up to 100 words, subject to Chamber staff editing. Click here to see an example. Advertise your business using banners on specific pages of the Chamber’s website. 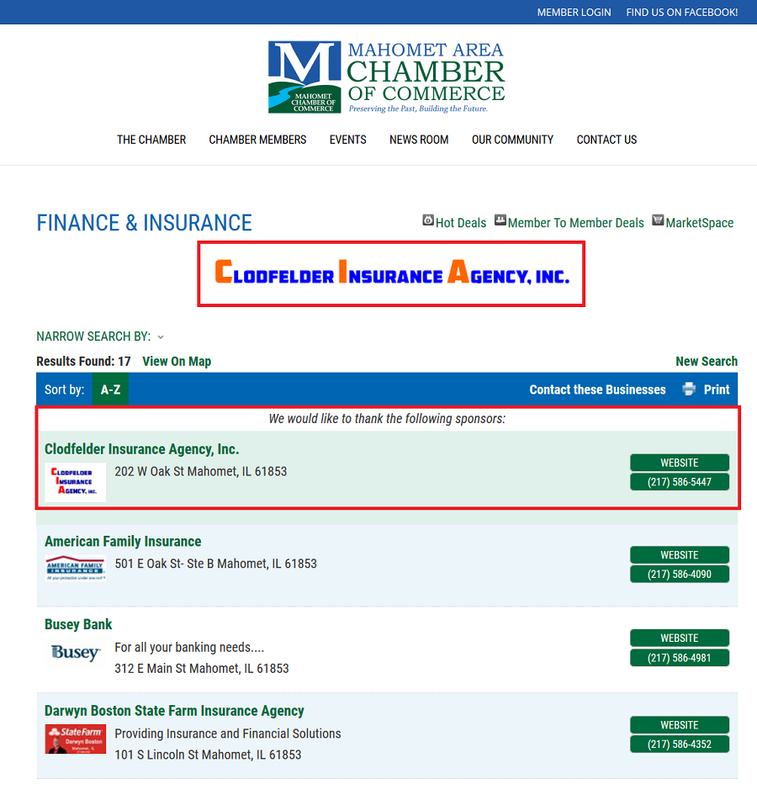 Choose where to put your banner ad from these pages: Main Business Directory Search Page, Specific Business Categories, Events Calendar Page, Job Postings Page, Hot Deals Page. Pricing starts at $200.00 per year for your banner ad to be placed across the website. Click here to see an example. Our website receives over 4,000 unique page views per month. Spot is limited to 6 advertisers at one time. Your ad will be place on the following pages of the website: Homepage, News Room, Mahomet Community, Individual Blog Posts (sidebar). Click here to see an example, or view on our homepage. Increase your reach by hosting content created by your business both in our Monthly Email Newsletter, and on the Chamber’s blog. Written content with images (1000 word max., up to 4 photos) to be posted on Chamber Blog, Content will be promoted on the Chamber’s social media platforms (3x), Content will be shared in Monthly Email Newsletter. Interested in traffic, subscribers, ad sizes are more? You can find it all in our advertising spec sheet! For an additional $50, we will create your banner for your organization (includes logo, 25 character limit, and one review). To reserve your ad space or to download a contract, please contact the chamber. Prices are subject to change. Ad space is available on a first come, first served basis.